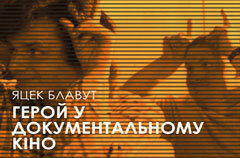 Since October 4 till October 8, 2011 in Kyiv will take place the Polish Academy of Document. Polish Academy of Document is the event organized by Dragon Forum the International Academy of Document and Docudays Ua International Documentary Film Festival in the framework of the cultural program of Poland’s presidency of the Council of European Union. The 5 days session will consist of the workshops for the young filmmakers from Ukraine, Belarus and Russia, open screenings of the Art of Document, meetings with the authors and producers, the bilateral conference of the documentary filmmakers. Its subject is documenting of the reality, international film market and organization of the film industry. Arkana Studio (Poland) and MaGiKa Film (Ukraine) are cooperating since 2005 in organizing the international workshops of documentary films. Arkana Studio is a main organizer of the project entitled „ Dragon Forum” the International Academy of Document including the pitching at the Krakow Film Festival. Dragon Forum during its 6 years of existence has established itself as an renowned attractive event in the landscape of European documentary scene. Dragon Forum focuses on the promotion of the documentary tradition of the Central Europe and training of the CE filmmakers in the skills necessary on the European co- production market. It creates a new modern meeting place for the filmmakers from different European countries and stimulates the networking and development of the international co-productions of the documentary films. The first editions of Dragon Forum has resulted in the education of many new European filmmakers and realization of new documentary films in the international co-production. Ukrainian filmmakers have participated in the Dragon Forum workshops and pitching and several film projects have been and are being realized. In previous years we have collaborated in organization of several workshops in Kyiv during the Docudays Ua International Documentary Film Festival. 2011 we collaborate at the project Polish Academy of Document in Kyiv.